Choosing the right Chiropractor is an important choice to make. Dr. DeFranco and his staff are trained on the latest chiropractic treatments & technologies. 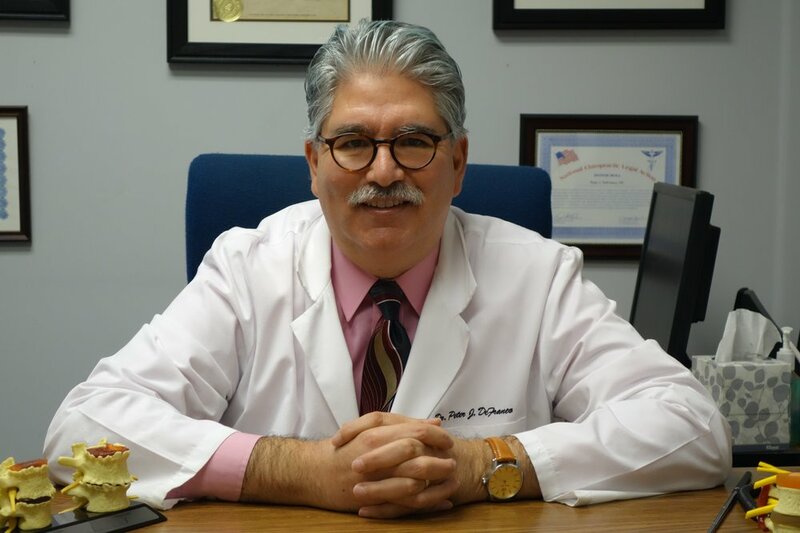 Dr. DeFranco has 30 years of experience treating disc patients successfully with Spinal Decompression and has successfully treated hundreds of patients. We now offer Laser Therapy with our new Cutting Edge MLS M6 Robotic Laser. Click below for an informative video showcasing this new technology. Hueytown Chiropractor - "Get Straight" With Dr. DeFranco! Thank you for visiting the website of Hueytown Chiropractor Dr. Peter DeFranco, where our motto is to "get well, move well, stay well". Our mission is to serve our community with outstanding chiropractic care. Our friendly staff is experienced and ready to serve you. We are committed to your health and we want to make you one of the success stories. We are compassionate and will make your experience like no other you have had in any doctors office. At our profession Hueytown chiropractic clinic, you will be treated like family, with respect and confidentiality. In practice as well as online, Hueytown Alabama 35023 chiropractor Dr. DeFranco strives for excellence through personalized patient treatment, education and satisfaction. Within our website, Hueytown, Pleasant Grove, Bessemer, Concord and surrounding area residents will find all types of health and wellness related information about our office and services, decompression therapy, chiropractic, back and neck pain, mid back pain, sports injury, headaches, work and auto injuries and much, much more. We hope you enjoy the information within and share it with others. Again, thank you for visiting www.hueytownchiro.com and remember to come back often.